Sinn Féin Councillor Dessie Ellis will be hoping that it's a case of third time lucky as he prepares to do battle in Dublin North West. 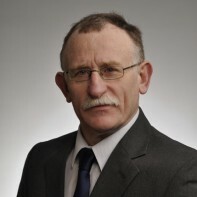 Ellis, who has represented Ballymun-Finglas on Dublin City Council since 1999, was unsuccessful on his two previous general election attempts in the constituency in 2002 and 2007. Ellis' manifesto states that if he is elected, he plans to only draw the average industrial wage for himself and use the rest of his TD's salary to fund constituency work. Ellis holds a third dan black belt in Karate.